The Mobile Phone is a story of connecting with the child within. The story is set in Delhi and deals with the lives of Rohit, a tutor, and Prabhu, a child he teaches in the city. 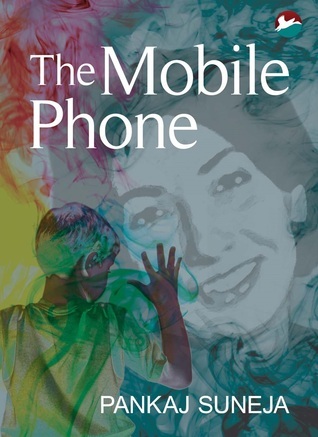 The author uses “the paper mobile phone” as a symbol to connect with someone who is absent. Someone we seek or someone who could hold us in our helplessness. The novel makes an attempt to understand death and deal with mourning. It looks at child’s play and fantasy life. It also looks at adults who are evolving in relationship. The mobile phone is a story which touches different aspects - pain when someone dies, the emotional struggle within to overcome the pain and mind substituting that loss by some other object. This book talks about the child within every adult. There are 2 parallel stories in the book. One story is about Rohit who is a tutor, a gay, loves his roommate Kumar, an introvert and who loses his mother in the childhood and couldn't come out of that past. Another one is around a child Prabhu, who is a student of Rohit. Prabhu also loses his mother as she dies suddenly with cancer. This incident makes him fantasize a paper mobile phone, which he uses to connect to his favorite tutor Rohit or even talk to God. Emotions and inner struggle of each character are portrayed very well. We empathize Prabhu on the loss of his mother and its impact on him. This is a quick story, but I felt, the narration is very confusing as it moves between first person and the third person very quickly. Most of the times, I couldn't understand what the author is trying to say - Is the character really saying something or assuming or fantasizing or wanted to say it. Even though the concept is good, it might have been written well. Overall, a good read for people who love psychology related books. PS: I have received a free review copy from the author in exchange of a review and this is my honest opinion on the book.